If you need complete printing, copying, and binding solutions, count on InstaCopy Printing & Graphics, Inc in Sylvania, OH. Our team can create and produce all types of printed materials, from business cards to 500-page bound books, along with tags, labels, transparencies, tab sets, and much more! We specialize in multi-page documents, including training manuals, catalogs, contracts, directories, newsletters, flyers, and bulletins. 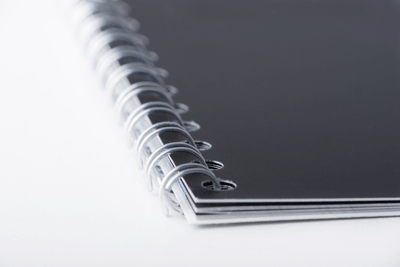 In addition, our binding services include saddle stitching, thermal tape, plastic coil, wire-o, and GBC. When it comes to printing and copying solutions, we are among the top companies in the industry. We can produce black and white, one-color, two-color, or full-color prints on most types of stock, including #15 NCR sheets to #140 tag stock. In addition, we have the equipment to create your order from disks, electronic files, or hard copies. We can also address your needs via verbal requests. Our prices are affordable, the quality of our services is excellent, and our staff is knowledgeable and friendly. To ensure your satisfaction, we produce your order using the best equipment on the market. Additionally, you can trust us to process your request in a cost-effective, quality-driven manner. To ensure that your order arrives in a timely manner, we ship daily with UPS. We can also provide shipping with USPS and FedEx. If you need tried-and-tested printing solutions or copying services, reach out to us right away. Call or email us today to discuss your requirements with our team. You may also connect with us through fax. We promise to get back to you as soon as possible.